“Kevin was just an all-around great guy”. He started drag racing at age 8 as a Junior Dragster at Raceway Park, Oyster Bed. 2011 he won the TJ Memorial event. 2012, at Raceway Park, he won numerous races as well as being named “Island Champion Pro Division”. On Labour Day, in the Pro Bracket division, he won the class championship. 2013 he went on to the pro stock level, driving his 1979 small block 355 Chevy Monza. He would run 128 mph in 10.4 seconds on the ¼ mile. Kevin was a member of the Atlantic Drag Racing Association. 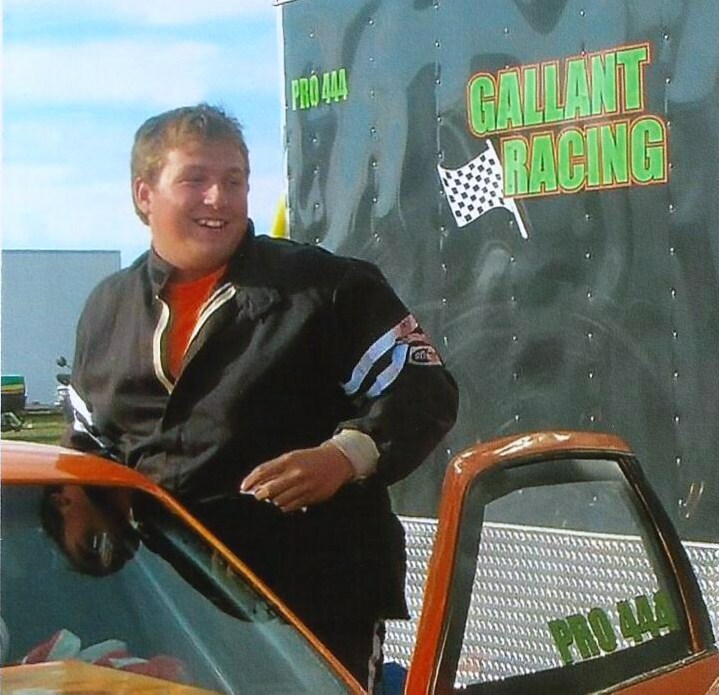 He won individual races at Miramichi Drag Park. In High School, he joined the peer helping the program to support the special needs students. Other sports Kevin enjoyed stockcar racing, national level curling, Soccer, rugby, and softball. There have been many memorial events dedicated to Kevin. At Raceway Park their new building was dedicated in his memory as well as a Memorial weekend for the Jr. dragsters. Kevin may have only lived 18 years, but he certainly accomplished a great deal and lived his life to the fullest”.